VACANT. POSSIBLE LEASE -PURCHASE. 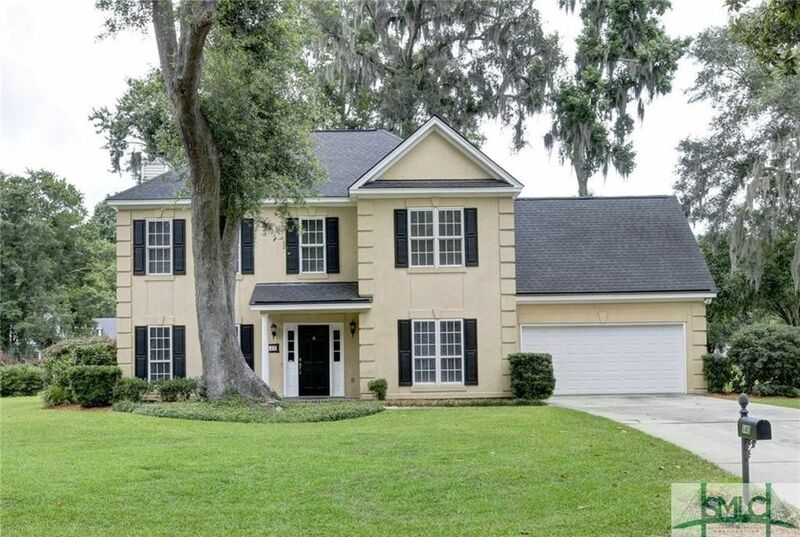 Affordable waterfront living in Wilmington Island's favorite family neighborhood. Popular Telfair plan features kitchen open to family room. Kitchen w/stainless appliances, updated super quiet Bosch dishwasher, solid surface counters, smooth top range, , built in desk, walk-in pantry. Dining room with hardwood floors. Master bath has double vanities, jet tub, and separate shower. Upgraded master bath with smooth ceiling & new lighting. Farringdon section of Olde Towne offers extra privacy with a circle street. Large lagoon lot provides beautiful water views. Enjoy sunsets and water birds. Newly landscaped yard with irrigation. Upstairs 4 bedrooms, 2 baths and Bonus room. Newer Roof. NO Flood insurance required! Come Home to OLDE TOWNE and enjoy islands neighborhood schools and the most active HOA on the Islands. Neighborhood Playground and Tennis courts then join the Pool in nearby Wilmington Park for summer fun for everyone !